Who Will Buy Veolia's US Waste Business? Billionaire Bill Gates is buying more Republic Services stock. According to filings with the SEC, his investment company Cascade Investment, LLC has purchased 4 million shares of stock between Dec. 7 and Dec. 9 for about $108 million. He now owns 65.15 million shares representing about 17.5 percent of the company. The recent purchases are taking advantage of a yearly low point in the stock which most analysts expect to reach $35. Veolia Environnement surprised many with its announcement last week of its intent to sell its US waste business as part of an ambitious plan to raise 5 billion Euros ($6.7 billion) from asset sales to reduce debt. 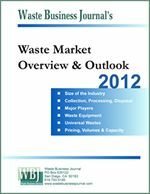 Its US waste business had revenues 614 million Euros ($822 million) in 2010. The next question is who will buy it, how much, and on what terms? Veolia's decision to sell its US waste business is the latest sign of a missed opportunity. 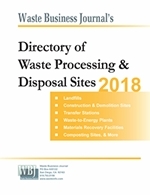 After entering the US waste market in 1999, many believed that the world's largest utility and second largest waste company would make other US acquisitions. Some analysts believe the company could sell for $1.5 billion. That restricts the number of eligible suitors to other large waste companies, private equity groups, or more likely some combination thereof. The deal could also be broken up into pieces but Veolia will likely prefer a less complicated transaction that will yield the cash it needs to reduce debt by 2013. Waste Connections, Inc. (Folsom, CA) has made good on its threat and now plans to move its corporate headquarters to The Woodlands, Texas, just north of Houston. The move is to begin immediately and be complete by September next year. Earlier this year company CEO Ron Mittelstaedt cited a tough "business climate" and a "dysfunctional" state Legislature among many reasons for leaving. However, as the company has expanded eastward, it has become increasingly important to seek a more central location, particularly to a city that is a hub for airlines. Denver, Chicago, Houston and Austin were the top contenders. Mittelstaedt added that Texas' warmer temperatures, business-friendly climate and a lack of a state income tax were also factors. Meanwhile, "California has the highest state tax rates in the nation, and they're going higher," Mittelstaedt said. Industry and many Republicans continue to push for a legislative fix despite EPA's issuance of less stringent and more flexible boiler and incinerator air rules. Prospects for the legislative fix remain unclear, since President Obama has threatened a veto and as GOP Sens. Olympia Snowe (ME) and Susan Collins (ME), key sponsors of the bill to overhaul the air rules, say they now plan to review EPA's new proposed rules before proceeding further. Pat DeRueda, President of WM Recycle America (WMRA), a division of Waste Management, Inc. (Houston, TX), is leaving his post there to move closer to home and family in Arizona. He will be switching positions in the company and is to become vice president of the company's Arizona and New Mexico area at the start of the new year. Waste Management expects to name a successor for DeRueda at WMRA by then. DeRueda will succeed Area Vice President Dan Vermeer who is joining a new unit focused on optimizing the company's enterprise-wide network of materials recovery, transfer and disposal assets.